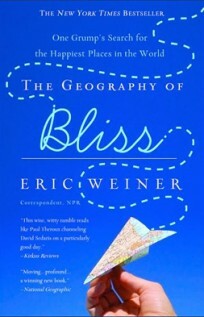 Eric Weiner is the author most recently of The Geography of Genius: Lessons from the World's Most Creative Places. 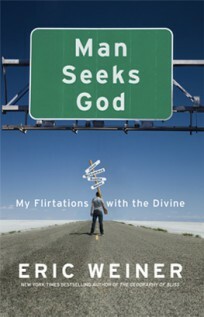 He also has written The Geography of Bliss and Man Seeks God. 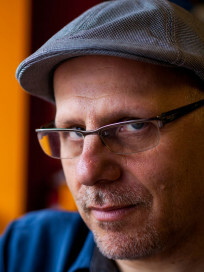 A former NPR correspondent, his work has also appeared in a variety of publications, including The New York Times and Slate. He lives in the Washington, D.C., area. 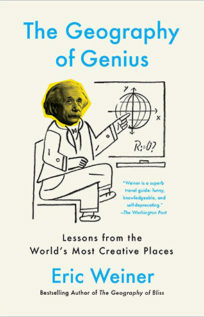 Q: You write, “Today, we suffer from a serious case of genius inflation.” Why is that, and how would you define genius? A: What I mean by that is everyone is a genius these days—a marketing genius, a football genius, our children are little Einsteins or little Mozarts. In the true sense, genius has little to do with intelligence. I’m not talking about IQ, but people who make creative leaps. Real geniuses don’t need a qualifier before their name. Einstein isn’t a scientific genius, he’s just a genius. Talking about definitions of genius, I like one that Schopenhauer used—talking about the difference between talent and genius, talent hits the target no one else can, and genius hits the target no one else can see. We say people with talent in a field are geniuses. It’s not the best meaning. Q: Your first chapter focuses on Ancient Greece. Why did you choose to start here, and what do you think accounts for the genius of Ancient Greece? A: I had to start somewhere, although I could have gone back to the Egyptians or the Mesopotamians. But so much of who we are comes from Ancient Greece, [so many] words are derived from Ancient Greece. It’s not so much Greece as one city-state, Athens…and that was a place I could go to today, which was not the case with Baghdad or Damascus. I wish it was one thing, but it rarely is. Partly it’s the messiness and roughness of Athens…that’s true of many places of genius—a coffee shop in Vienna, the Agora in Athens. Partly it was the underdog mentality with something to prove. It was not the strongest of the city-states. If I had to peg it to one thing, I’d probably go with their outward orientation, their openness to experience. That’s most important for creative people and places. They were open to the idea of the other. They were borrowing ideas and honing them. They had sailing ships and they went out. It was a pretty cosmopolitan place. That basic openness to experience is essential. All these places are a little bit of a mystery. You could find the ingredients elsewhere. Athens got the recipe right. Q: You write of Renaissance Florence, “Not since Athens has one city produced so many brilliant minds and good ideas—and in such a brief time.” What characterized the genius of Florence during that time period? A: I call this chapter "Genius is Expensive," to make the point that there was a system of patronage in place. There was no such thing as a starving artist because they don’t produce, they just starve. The Medicis were patrons of the arts, and were very good at it, at picking the right people to nurture, like Michelangelo being spotted by Lorenzo and brought into the fold. I would say money played a big role. Q: You spend two chapters on Vienna, about which you write, “Vienna’s golden age was longer, and deeper, than any other.” Why do you think this was the case? A: I originally had not intended to devote two chapters to Vienna. I dove into part one, the musical genius of Mozart, Beethoven…Unlike other places, this was a double dip. Not so much later, there was another flourishing. In the Vienna chapter part one, I write about the importance of the audience. Genius does incredible things and we all absorb it, but we are playing a role too. In part two, there’s the explosion of the population, and different fields [of genius emerge] like art, with Gustav Klimt; physicists; Freud, too, in the still-young field of psychology. I found out if you have advances in one field, like art, you will find it in others, like science. You have a break in the air and people think, Why not my field as well? If you’ve only eaten with a fork and knife and you see someone eating with chopsticks, you’re unlikely to switch, but your mind is open to the possibility [of change]: Maybe I can do math differently! There was a lot of that going on in Vienna in 1900. Q: Your last chapter deals with Silicon Valley. How does it compare with previous locations of genius? A: It’s more like Vienna of 1800 than 1900—it’s mainly a one-note town. It’s mainly technology. There’s not a lot of art going on in Silicon Valley. That’s problematic that it’s so focused on one note. It’s what we have now—we get the geniuses we want and deserve, and we love technology, so our geniuses are Steve Jobs and Mark Zuckerberg. We don’t value and honor so much classical music. If you’re young and bright at the very end of the [18th century] you go into music. Today, you go to Silicon Valley. It’s like Athens in that it borrows from other places. It’s a bit like Renaissance Italy with the patronage system, of venture capitalists. I don’t know if it will last forever; these places are pretty fragile. We may feel that Silicon Valley is sturdy and will be around forever, but history teaches us otherwise. A: Besides catching my breath and doing a little teaching and writing a book review for The Washington Post, bookwise [I’m working on] practical philosophy--ancient wisdom for modern problems. We are all looking for wisdom, and philosophy is very relevant to our lives and how to live our lives. A: We started out talking about the definition of genius. We can’t all be geniuses, but a genius isn’t like a shooting star in the sky we look at. It is something we can cultivate in our cities, our schools, our families. Look at creative geniuses—it’s something we all have a stake in. The book is fun, and funny. I try to approach serious subjects and have fun with them.